Your Australia Day Menu! - Adelaide Central Market: The City of Adelaide's premier food destination. Over 70 traders under one roof. Have you been handed the tongs and asked to host the annual Australia Day barbecue this year? Never fear, we have planned your menu ahead! Follow these easy recipes for a glorious day, celebrating our incredible nation! Kick the day off with this easy and fresh summer punch. It’s perfect for sipping all through the day and uses seasonal summer produce. Bonus points if you use an Australian branded ginger beer! Wet your guests appetites with this simple prawn cocktail & avocado salsa cup recipe. It’s light and super easy to pull together. You could even get make the cocktail sauce from the night before. The main event needs to be ironically Australian, but we’ve given it a slight twist! 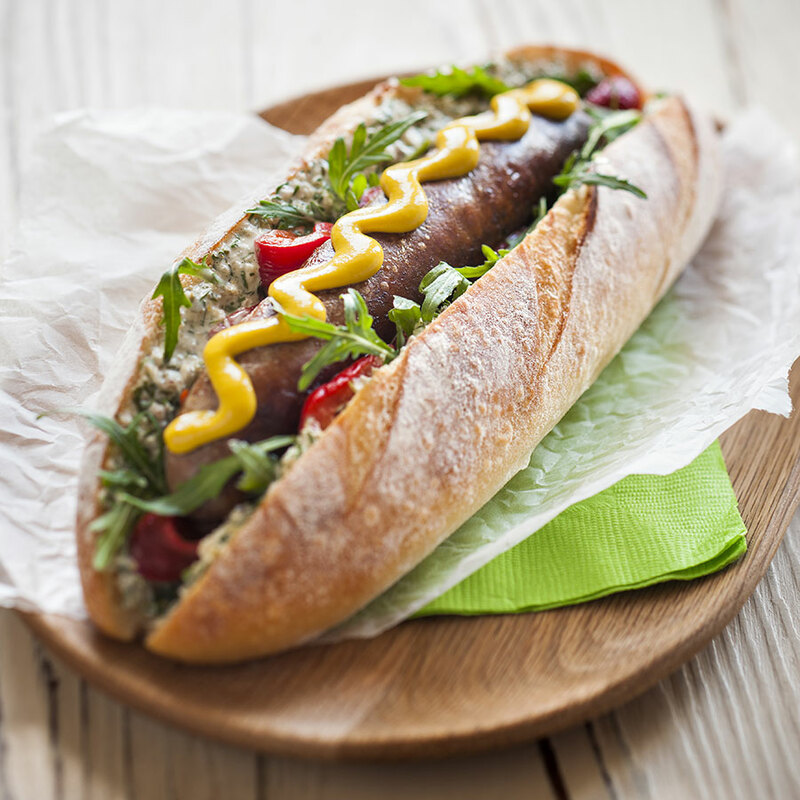 Make your hotdogs sing and use red capsicum and homemade salsa verde to wow your guests and make our chorizo hotdog recipe! They say you can’t make friends with salad, but have you tried our green salad with quinoa, mint and feta, it’s a show stopper and a friend maker. Trust us! Finish the day with this delicious lemon pavlova! It’s refreshing touch of lemon is perfect for a summers day, and a great end to your Australia Day feast!